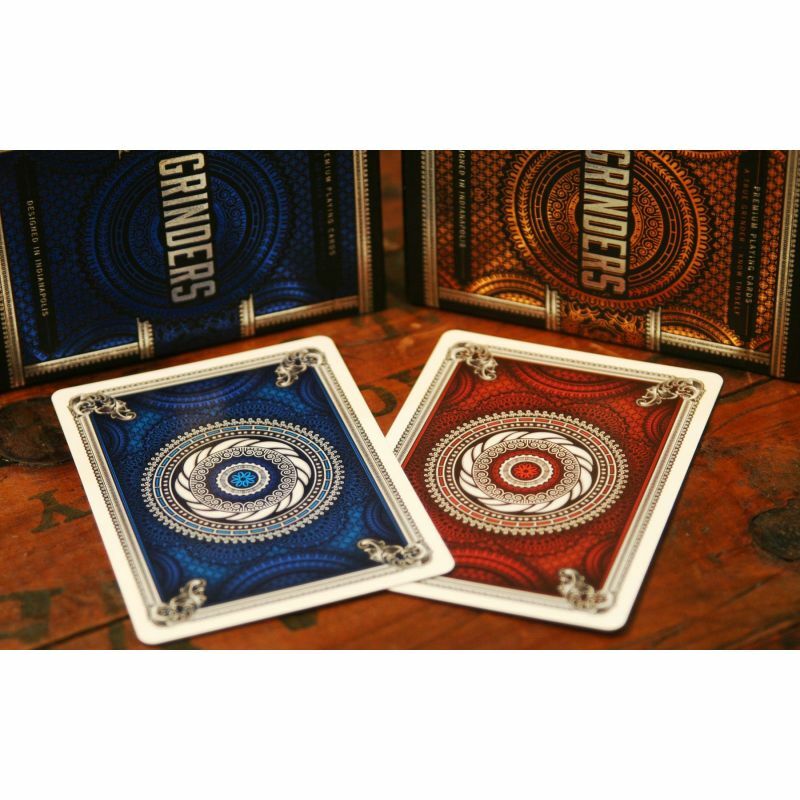 The Grinders design embodies the workhorse mentality of a professional Grinder, but also contains elements of grandeur and opulence. 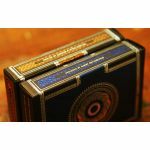 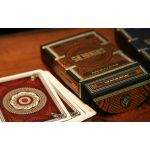 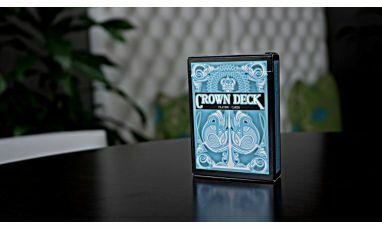 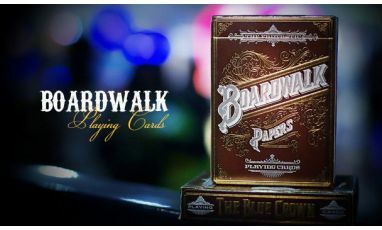 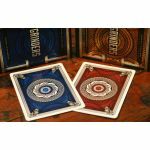 The Blue and Copper pair of Decks are printed by the Legends Playing Card Co. with their exceptional Classic Finish. 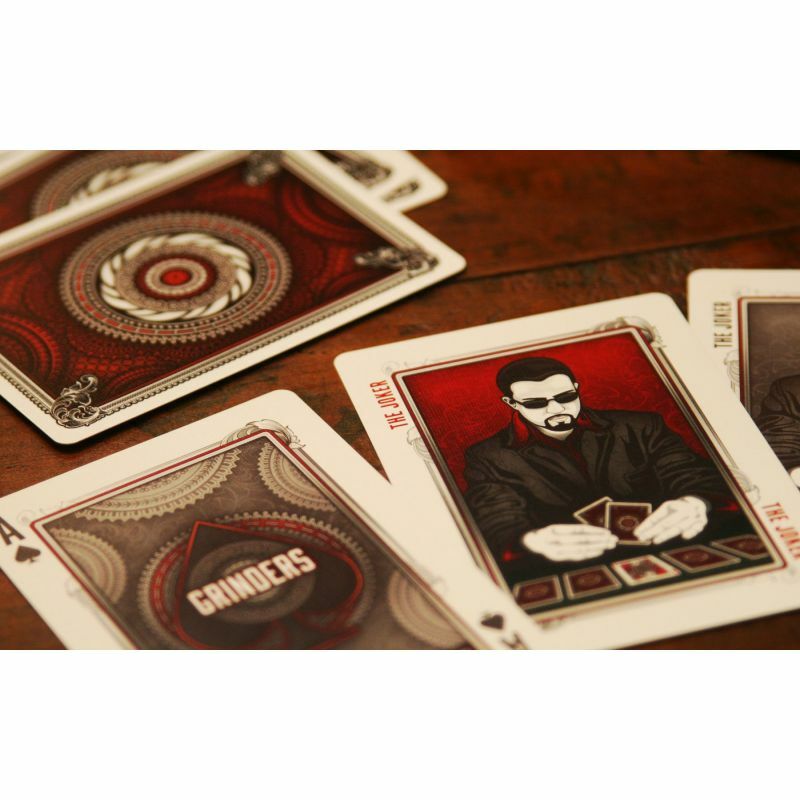 The Back Cards contain many intricate details and also subtle references to the games of Poker and Roulette. The Face Cards are designed with the intention for maximum playability. The Courts Set is from a more classical design than most modern Courts. 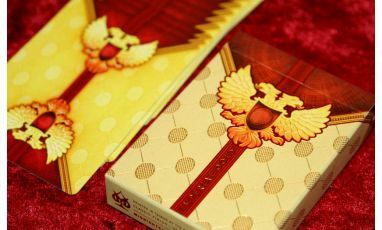 They have been customized with elegant details and handpainted elements to make them unique on their own! 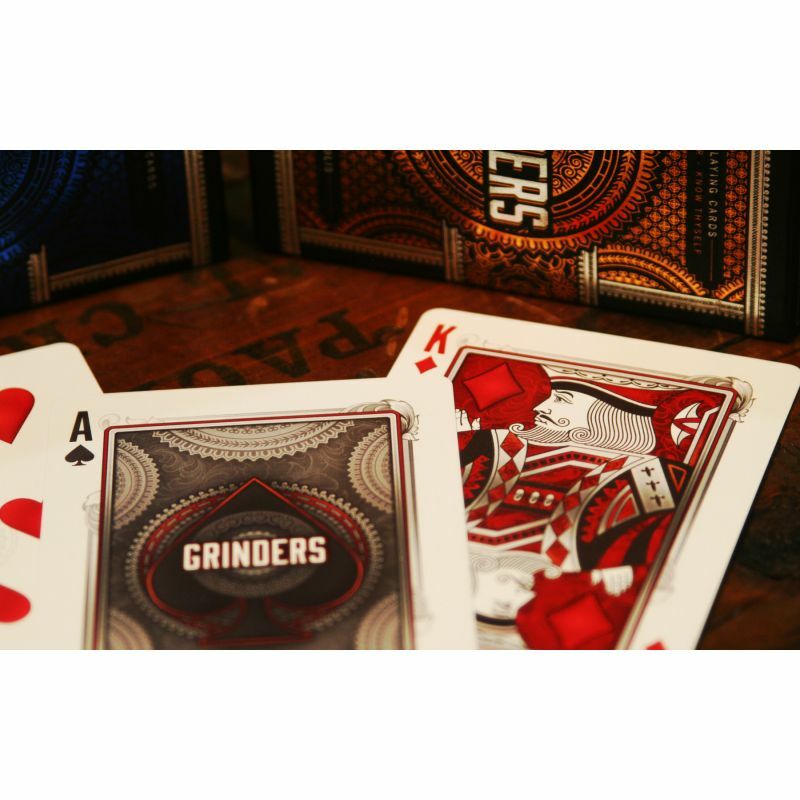 The Jokers for the Grinders Decks focus on a well kept Poker player ready to make his move! 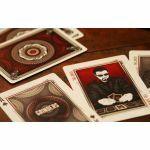 He is drawn in a similar hard-edge outlines with rough painted interiors, similar to the Court Cards. 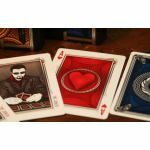 The Red Joker has a Queen of Hearts reveal. 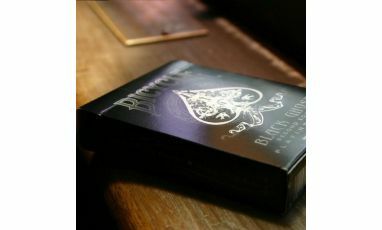 Which is good for any aspiring Magicians! 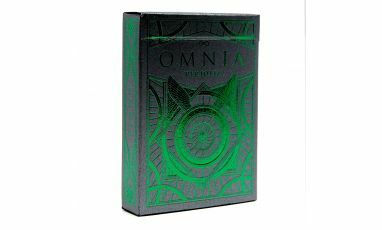 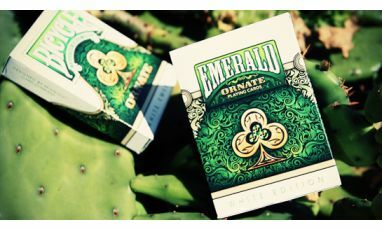 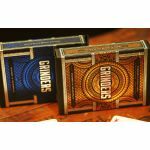 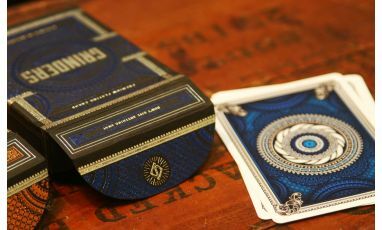 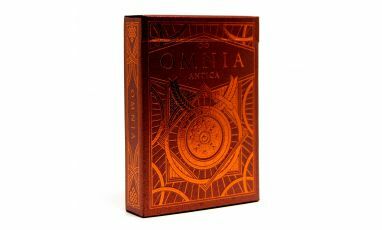 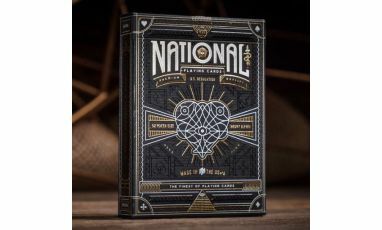 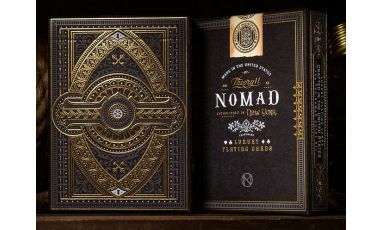 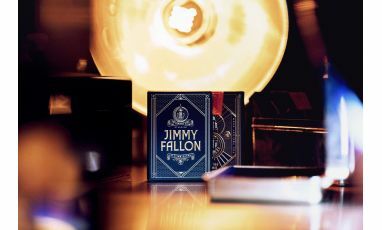 The Tuck Boxes are produced on a Black Matte paper stock and contain intricate designs executed perfectly in duo FOILS for each (Silver and Blue Foils for the Blue Deck, Silver and Copper Foils for the Copper Deck). 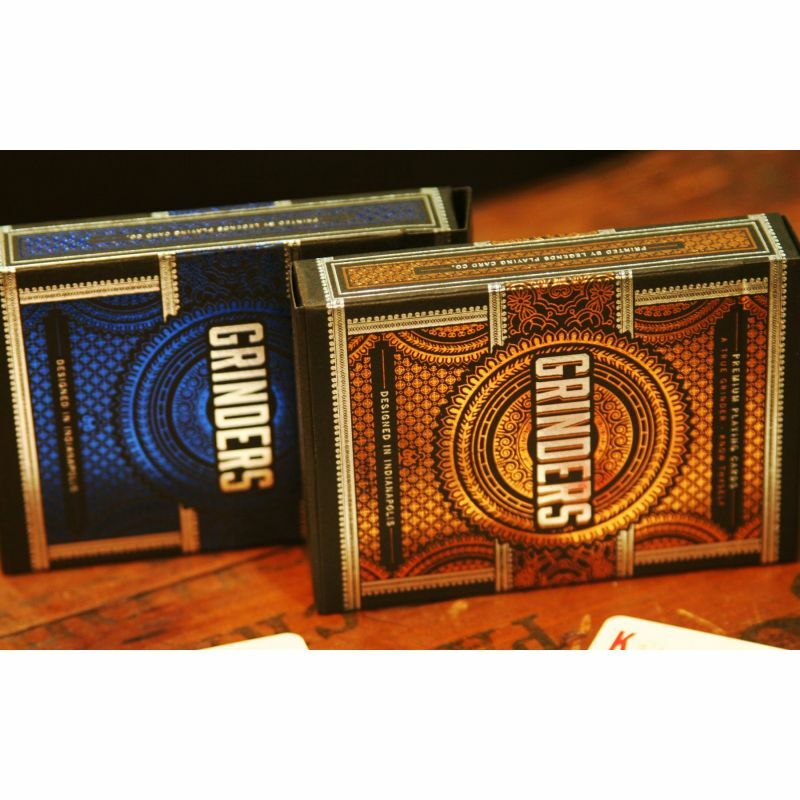 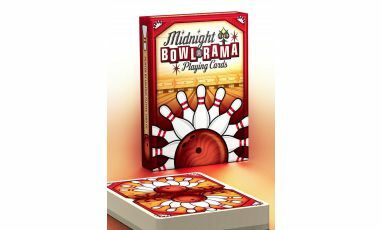 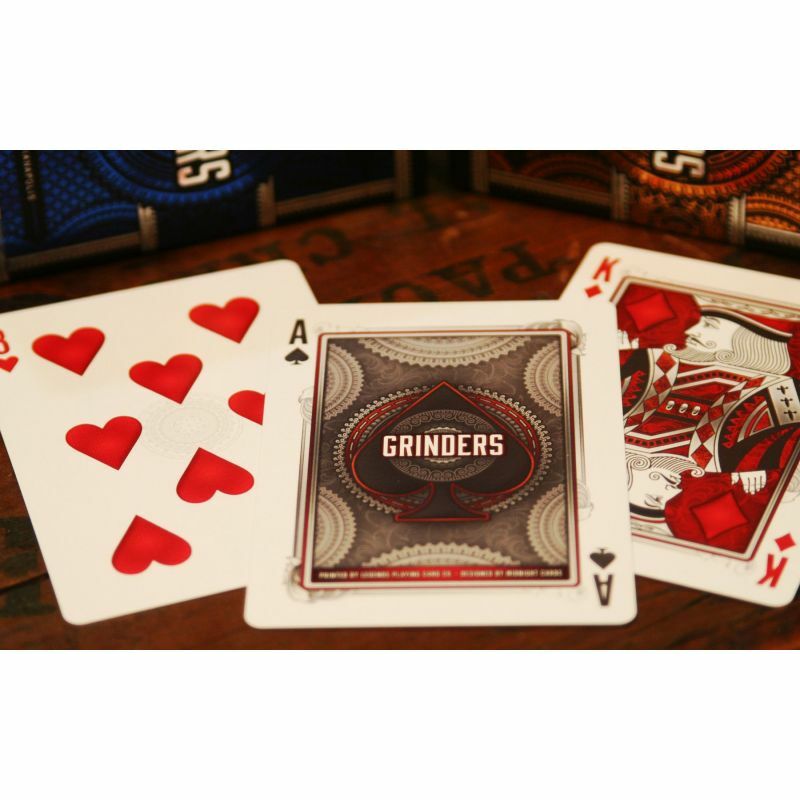 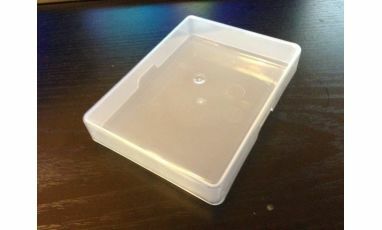 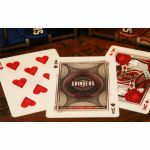 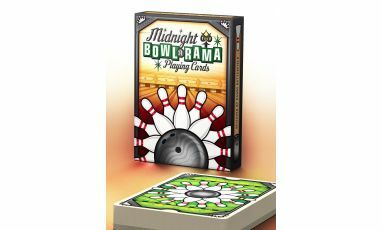 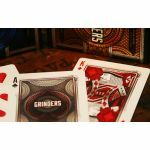 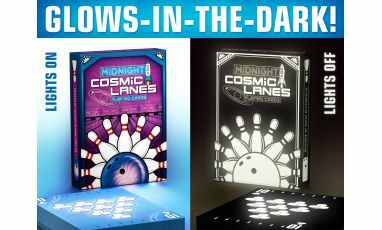 The Grinders Decks will take your game night to the next level!